Add to this two fireplaces, a pool / ping pong table, delicious meals, friendly hospitality and comfortable accommodation and you have the ultimate setting for your next executive meeting or retreat. But remember, it’s not all work at the Lodge – spend quality time together with a variety of activities including cross-country skiing, snowshoeing, backcountry skiing & snowboarding, tobogganing and sauna basking. 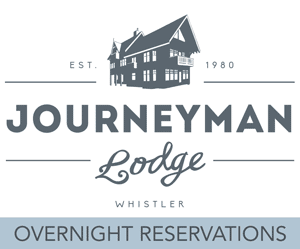 If you are looking for total privacy and the flexibility of a fully customized program, consider booking the entire lodge for your group. Let us know your requirements and we can customize an adventure itinerary just for you. Working with expert facilitators and meeting planners, we create innovative programs that are guaranteed to be a hit with the entire team. All activities are tailored to suit the physical makeup of your group – suitable for all guests from absolute beginners to seasoned adventurers. 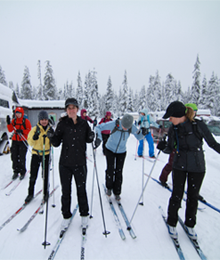 Events like scavenger hunts, backcountry travel camps, orienteering, fun races, and multi-sport adventure challenges bring people together and bind them with the spirit of alpine adventure. CORPORATE CHRISTMAS PARTY PACKAGE - ON SALE NOW! $2000 for a fully catered & truly memorable corporate Christmas Party! Designed for corporate grps of up to 8 people. These Packages INCLUDE XC Rentals from Access Callaghan Ski Shop; Snowcat transfer to and from Callaghan Lake (only 4.5km XC ski to Lodge / 9:30am departure from base facilities/parking area on arrival day / 2:00pm departure from lake on departure day) 1-Nights accommodation; all meals Day of check-in: lunch, Après-ski appetizers and a 3-course dinner, Day of check-out: Continental breakfast and bagged lunch, Non-alcoholic beverages (coffee, tea, milk, juice & hot chocolate – please note we do not serve soda but you are welcome to bring your own); a return luggage transfer (1:00pm from base to lodge; 10:30am from lodge back to base), and the use of our lodge snowshoes, toboggans, and the Traditional Scandinavian sauna. 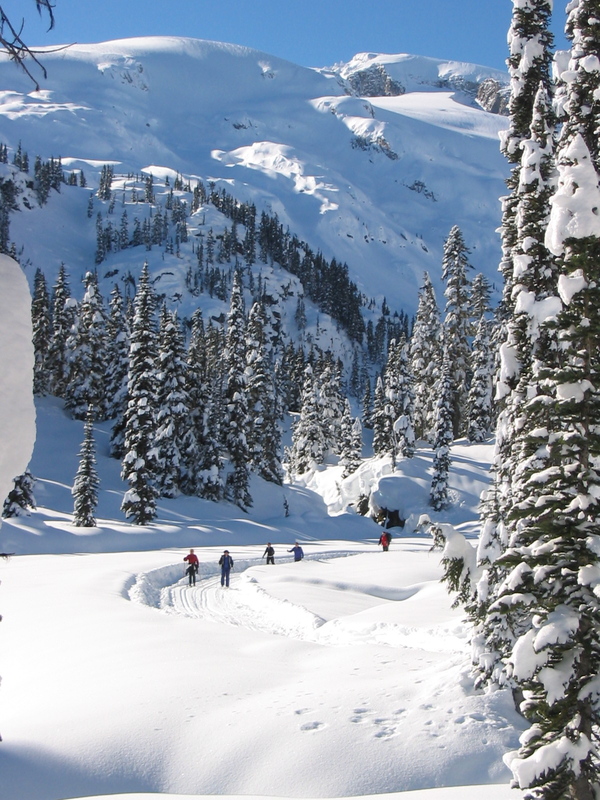 *These prices DO NOT INCLUDE Ski Callaghan Admission, liquor service, taxes, or gratuities. Depending on the weather patterns associated with early season reservations, access may pose a bit of a challenge, but we approach it as a bonus element of adventure, sometimes involving various types of vehicles to get our guests to the snow-line. Think our venue is a fit for you? Our Marketing & Sales Manager, Kim Ebers, is always happy to prepare a quote; please Contact Us >> for more details.